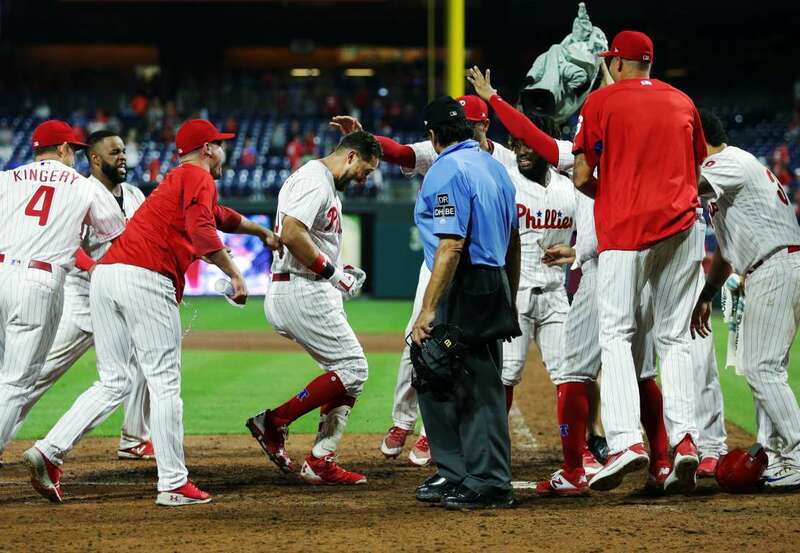 Trevor Plouffe, center, of the Phillies is greeted by teammates at home plate after hitting a game winning, walk-off, three-run home run in the 16th inning against the Dodgers on Tuesday, in Philadelphia, Pennsylvania. The Phillies won 7-4 in 16 innings. 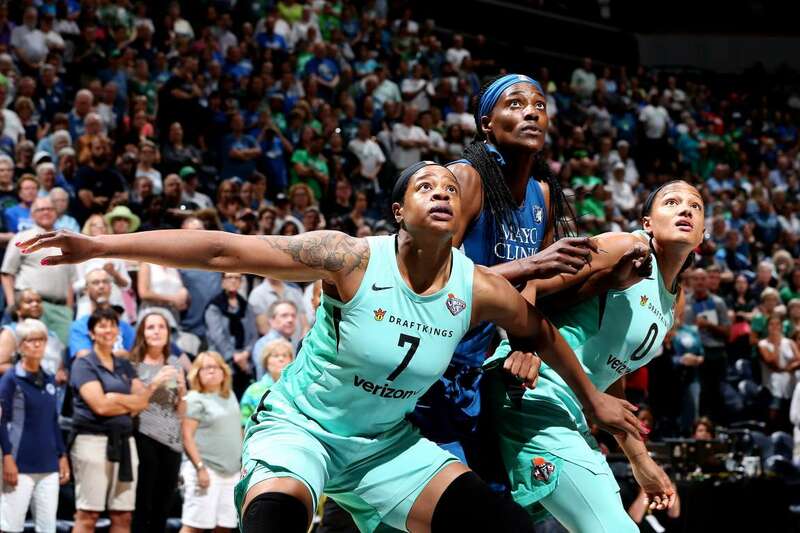 Kia Vaughn (7) and Marissa Coleman (0) of the New York Liberty jocks for a position during the game against Sylvia Fowles, center, of the Minnesota Lynx on Tuesday, in Minneapolis, Minnesota. 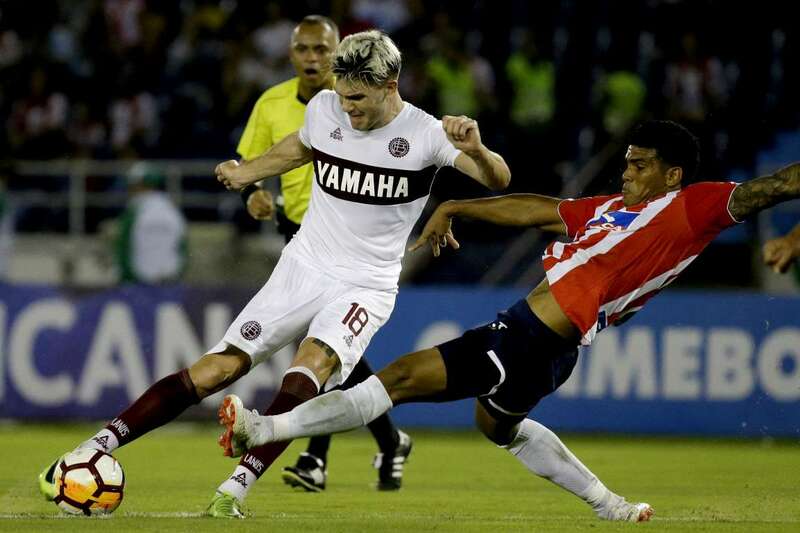 Rafael Perez, of Colombia's Junior, right challenges for the ball as Fernando Coniglio, of Argentina's Lanus, during a Copa Sudamericana second round soccer match in Barranquilla, Colombia, on Tuesday. 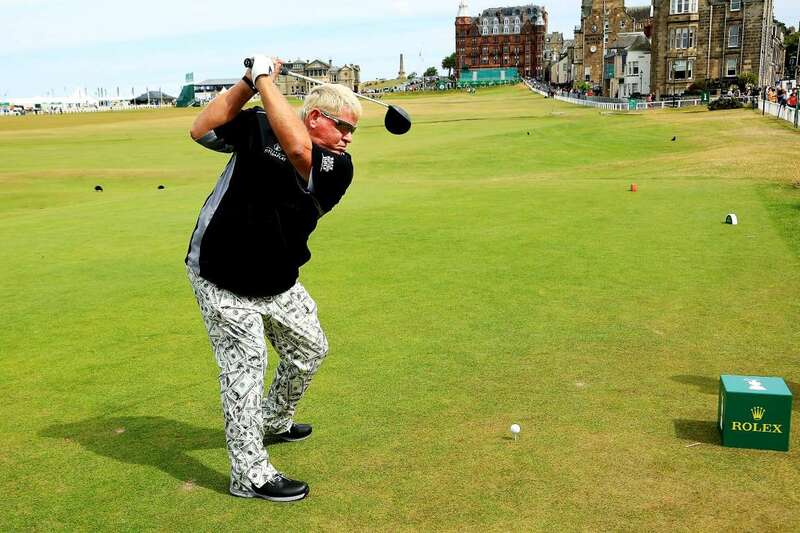 John Daly of the US in action during previews ahead of The Senior Open on Tuesday, in St Andrews, Scotland. 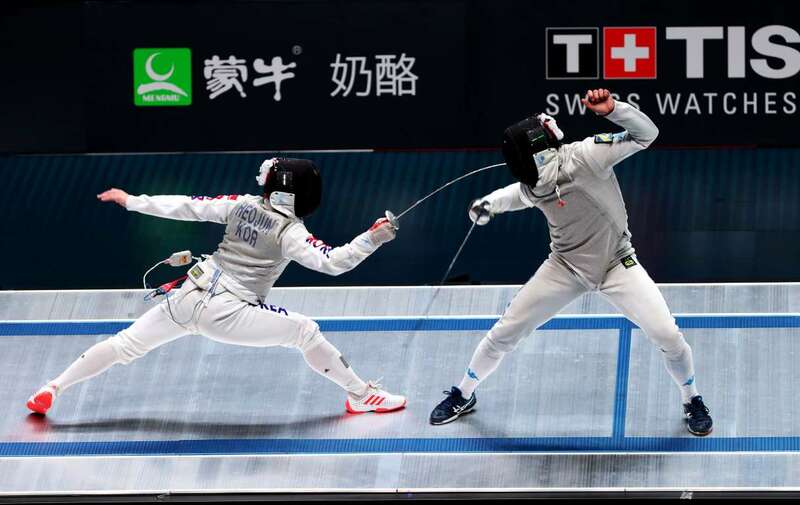 Heo Jun, left, of South Korea competes against Alessio Foconi of Italy during the men's individual semi-final of the foil competition at the World Fencing Championships, in Jiangsu province, China on Tuesday. 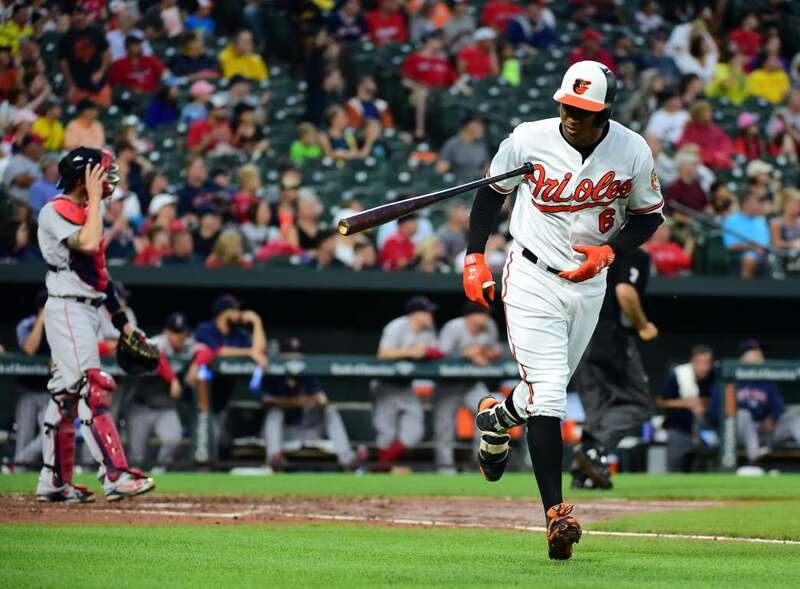 The Orioles’ Jonathan Schoop flips his bat after hitting a two run home run against the Red Sox on Tuesday, in Baltimore, Maryland. The Orioles won 7-6. 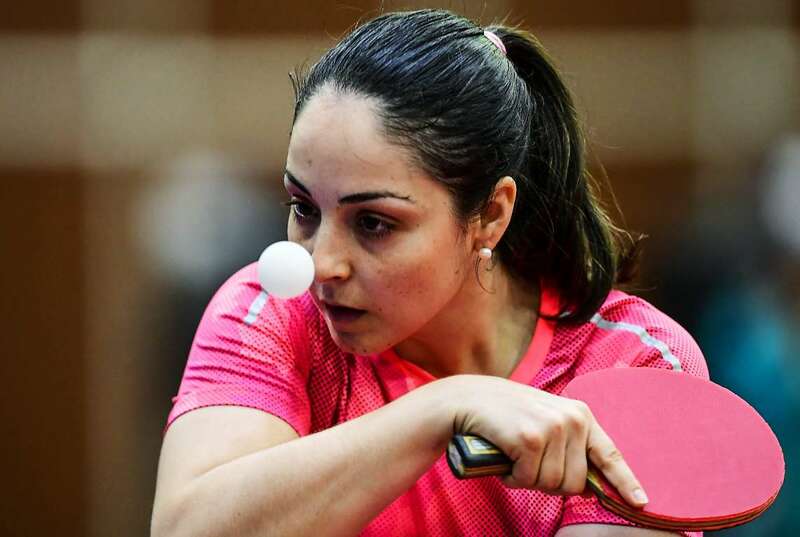 Mexico's Yadira Silva eyes the ball during a table tennis match against Puerto Rico's Adriana Diaz, during the Central American and Caribbean Games (CAC), in Barranquilla, Colombia, on Tuesday. 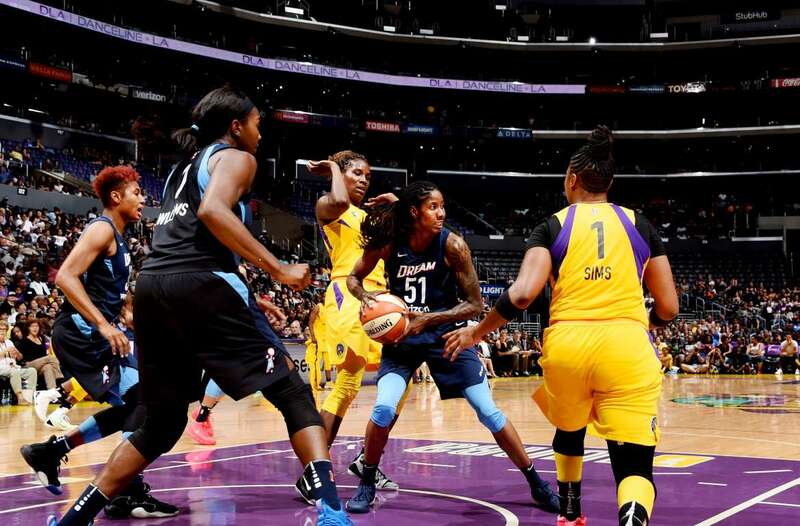 Jessica Breland (51) of the Atlanta Dream handles the ball during the game against the Los Angeles Sparks on Tuesday in Los Angeles, CA. 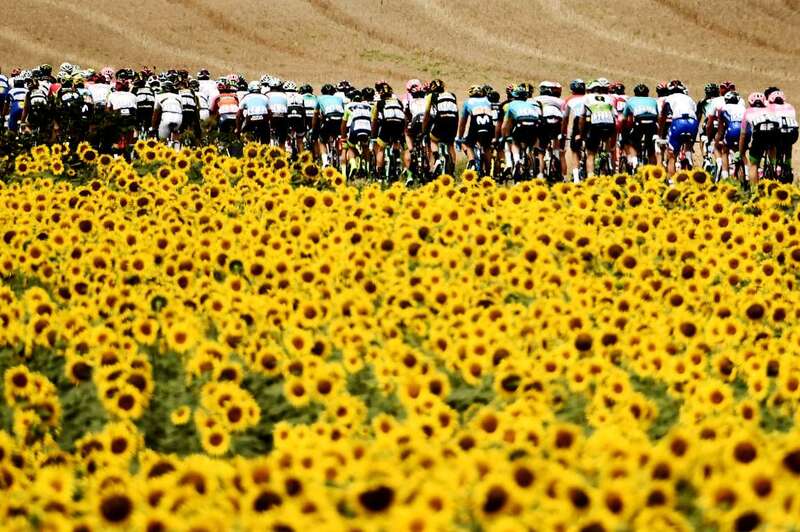 The pack rides through sunflower fields during the 16th stage of the of the Tour de France cycling race, between Carcassonne and Bagneres-de-Luchon, southwestern France, on Tuesday. 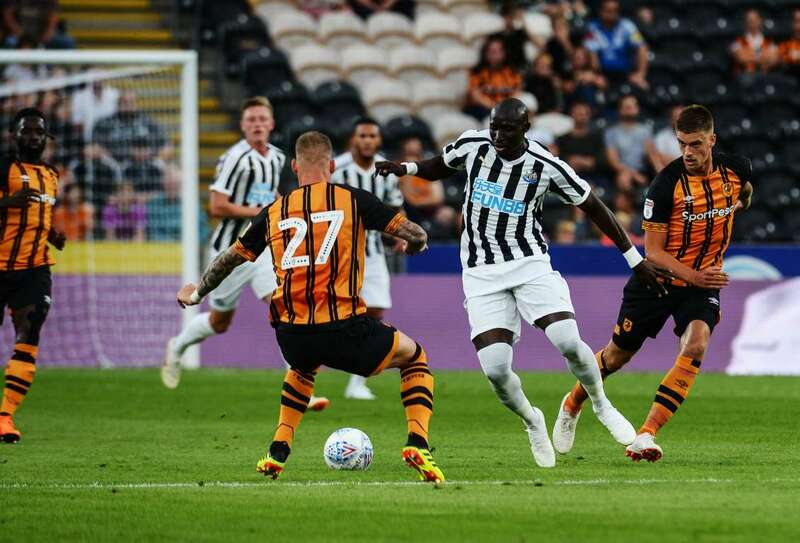 Mohamed Diame of Newcastle United controls the ball from a challenging Jordy de Wijs of Hull City AFC during the pre season friendly match on Tuesday, in Hull, England. 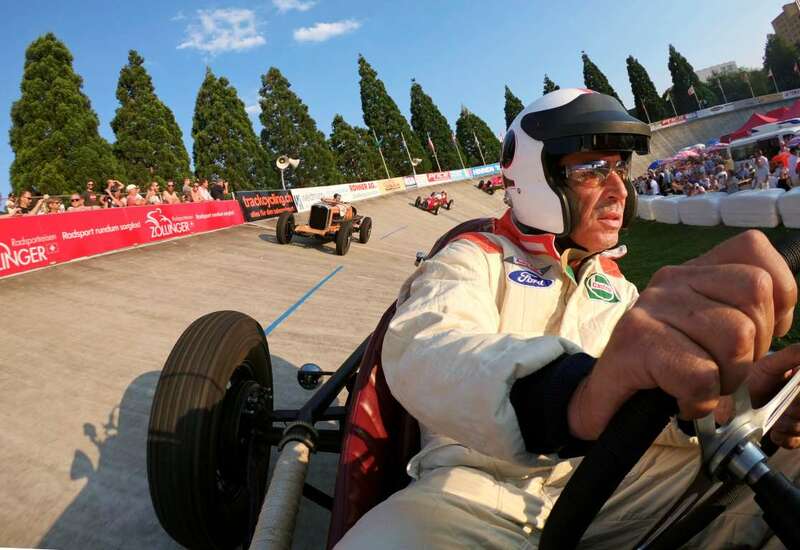 Beda Haemmerli drives his 1936 Ford Indy race car (front) through a steep turn during the Indianapolis in Oerlikon race demonstration on Tuesday, in Zurich's Oerlikon suburb, Switzerland. 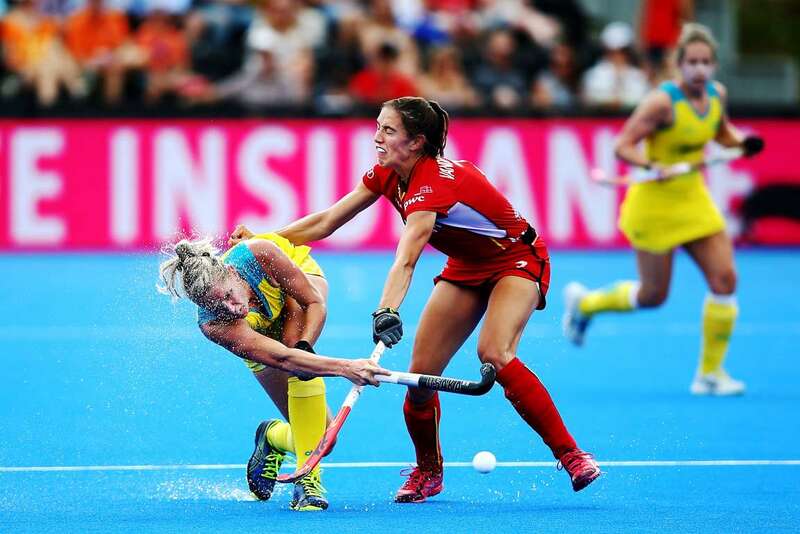 Jodie Kenny of Australia, left, and Judith Vandermeiren of Belgium compete for the ball during Field Hockey World Cup game on Tuesday, in London, England. 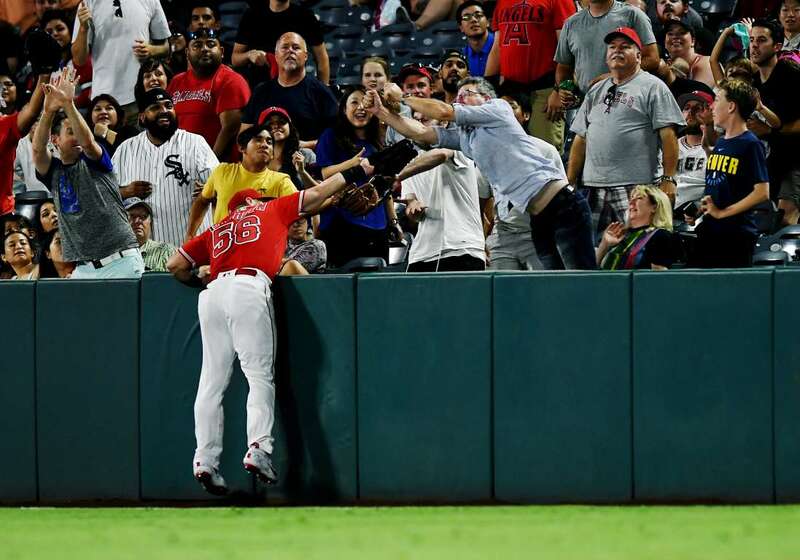 The Angels left fielder Kole Calhoun tries to take a catch during a game against the White Sox on Tuesday, in Anaheim, CA. The White Sox won 4-3. Up for grabs The Angels left fielder Kole Calhoun tries to take a catch during a game against the White Sox on Tuesday, in Anaheim, CA. The White Sox won 4-3. 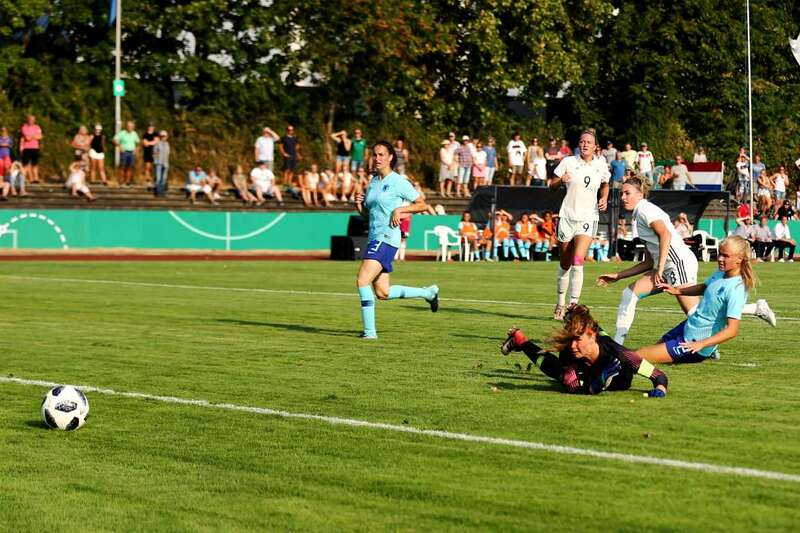 Laura Freigang of Germany (2nd right) scores the first goal against Life Kop, left, and Jasmine Duppen of the Netherlands, right, during their friendly U20 match on Tuesday, in Goch, Germany. Christopher Froome of Great Britain and Team Sky wipes his eyes after the French police tear-gassed protesting farmers during the Tour de France on Tuesday. Minor hiccup Christopher Froome of Great Britain and Team Sky wipes his eyes after the French police tear-gassed protesting farmers during the Tour de France on Tuesday.